You, my friend, are amazing! Emerald is the Color of the Year, and what better time to talk about to all things green than Saint Patrick’s Week? It’s a fun, fresh color, though! How are you incorporating into your decor? Here’s a little inspiration from a child’s room. I mixed emerald with it’s compliment, red-orange, to keep things bright and playful. 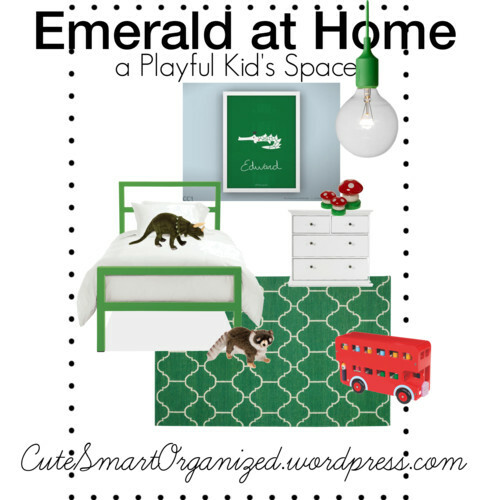 Have you added a little emerald to your home, yet? Let me know what you’ve done! You are so Cute, Smart and Organized!